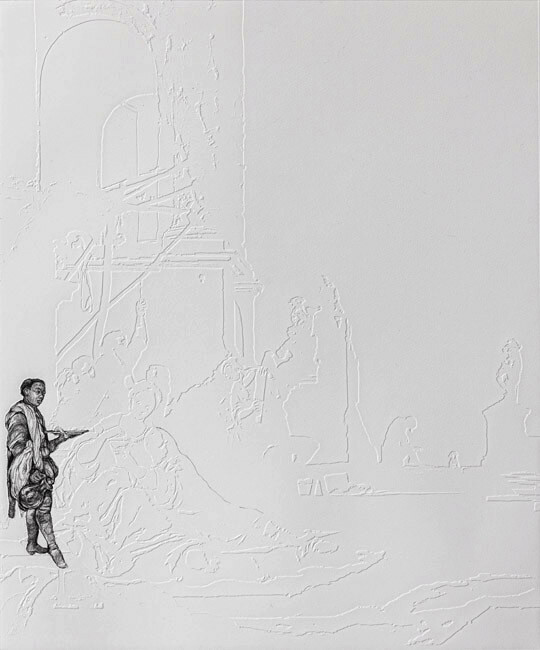 Vanishing Point’, explores the visibility of Black subjects in Western European painting within a British national art collection. 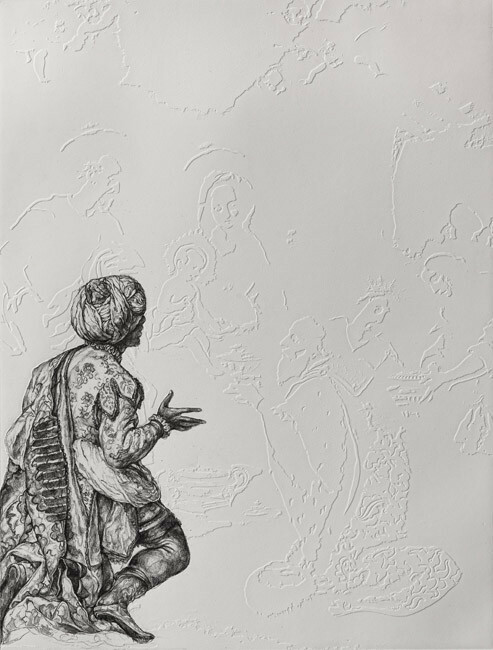 As demonstrated throughout Walker established bodies of work, she is interested in the representation of Black people in our public archives and collections. 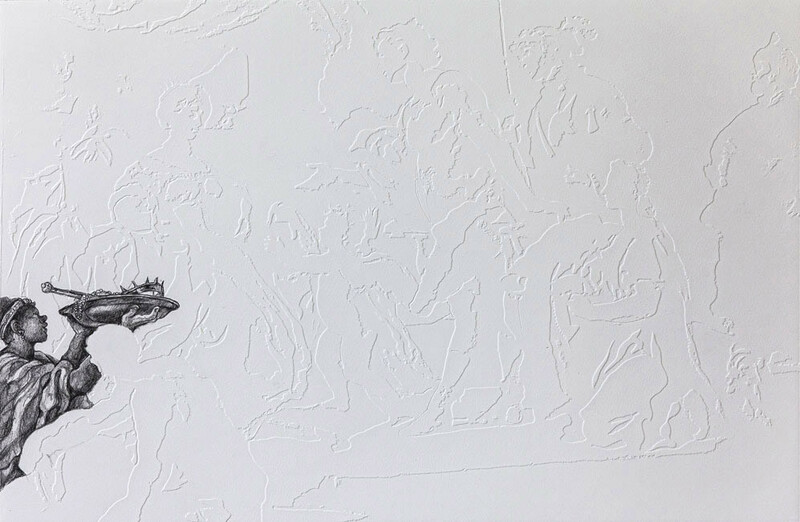 Vanishing Point is an opportunity to explore this interest further, and to focus in particular on Art History and the way it has been shaped by institutions and the art establishment in this country from the late Georgian period to the present day. 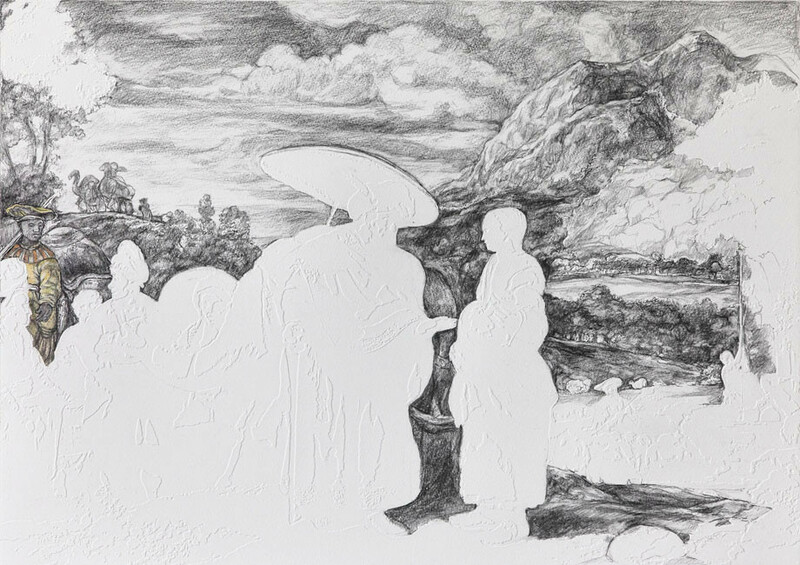 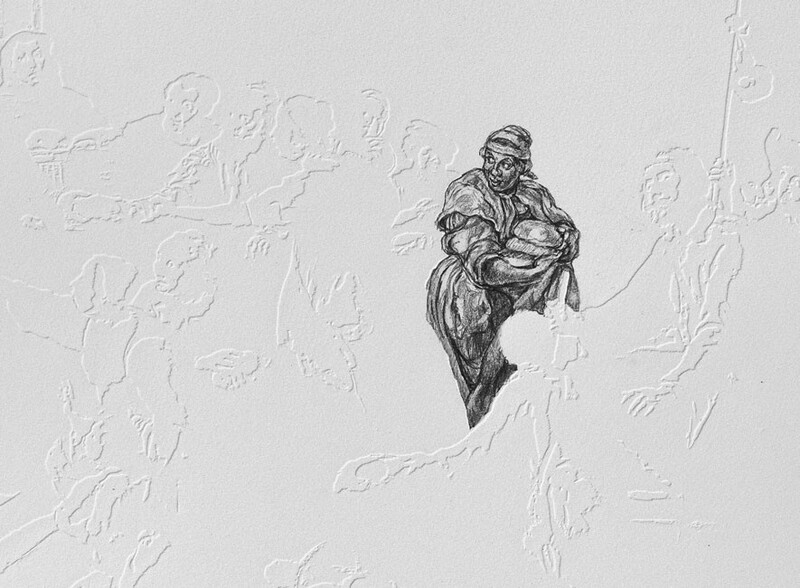 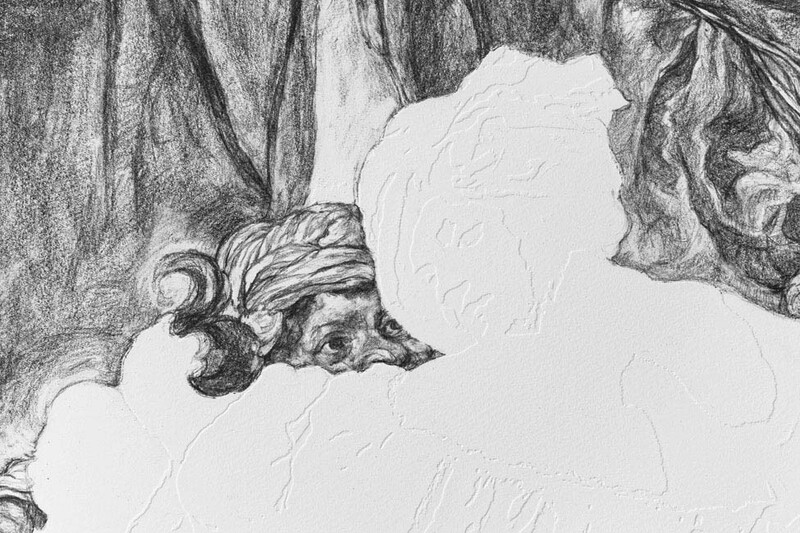 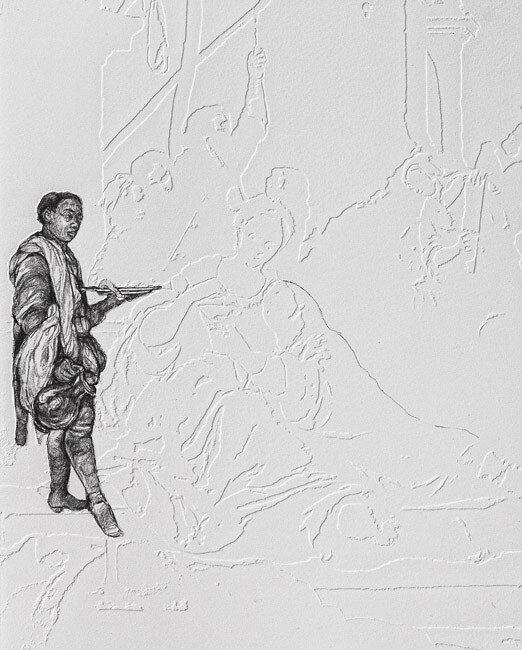 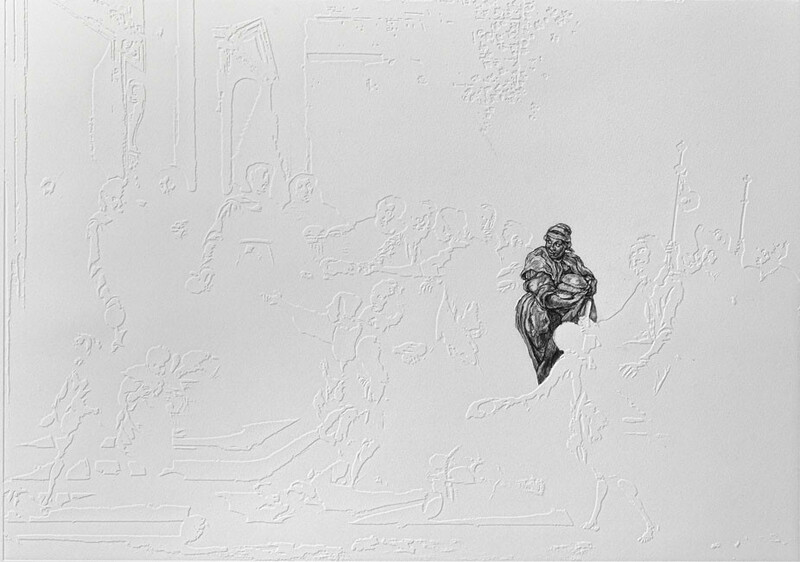 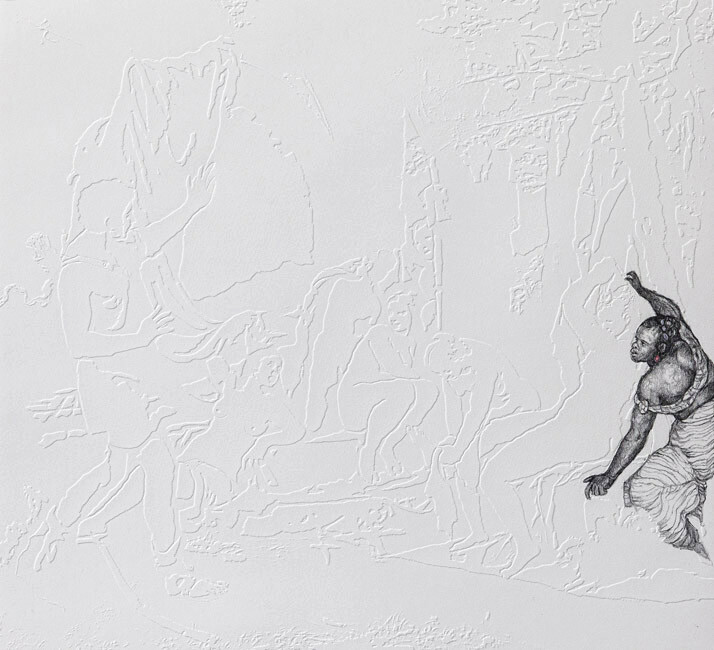 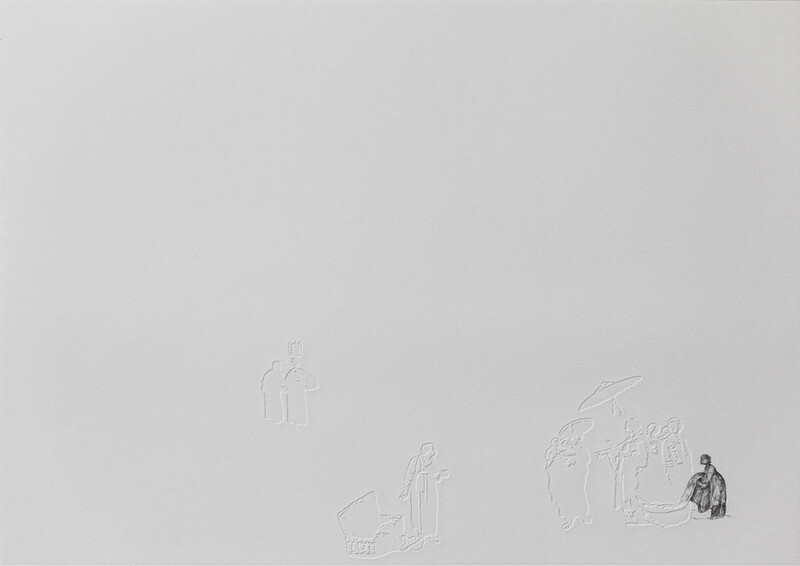 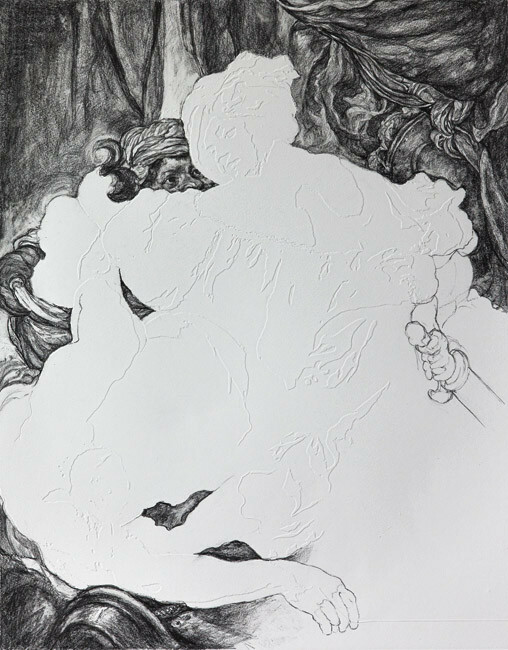 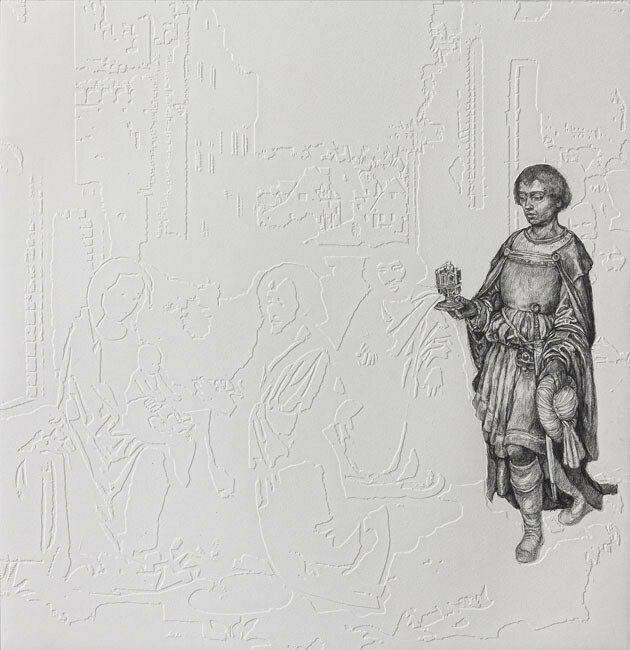 ‘Vanishing Pointing’, is the outcome of the Evelyn Drawing award to Walker association with Jerwood Drawing Prize 2017 and loans from the National Gallery has have been made possible thanks to a grant from the Weston Loan Programme with Art Fund, an initiative created by the Garfield Weston Foundation and Art Fund. 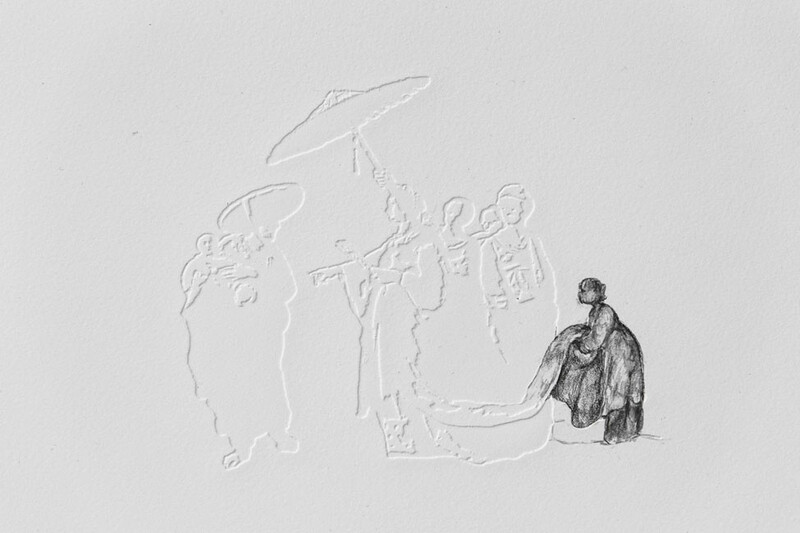 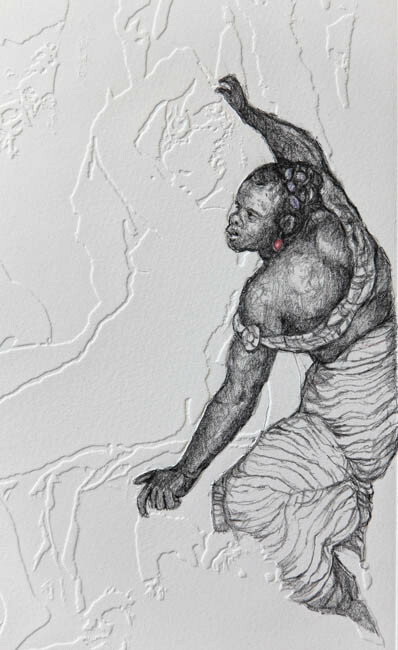 graphite and coloured pencil on embossed Somerset Satin paper using a Photolymer Gravure plate.